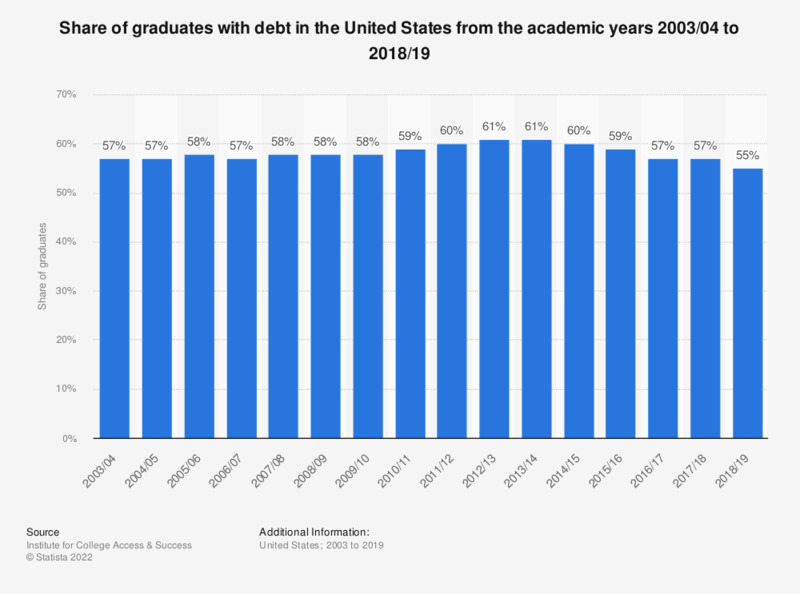 This statistic shows the share of graduates in the United States who had student debts from the 2003/04 academic year to 2016/17. The share of students with debt has remained fairly constant over time. In 2016/17, around 57 percent of graduates in the United States were in debt.